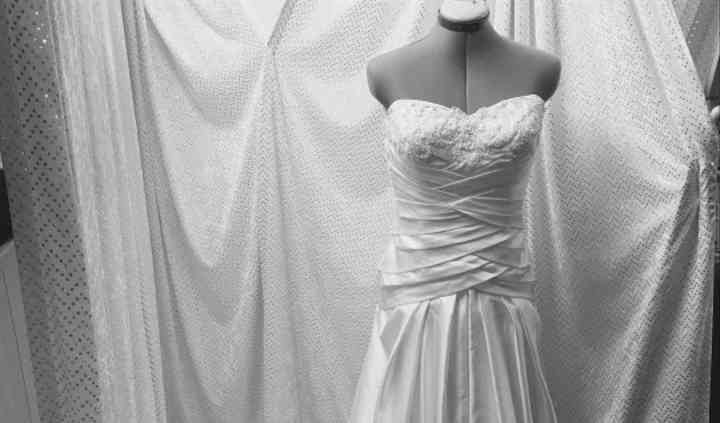 Located in Calgary, Alberta, 20/20 Alterations by Kim is a business that specializes in tailor and seamstress services for brides and grooms-to-be. 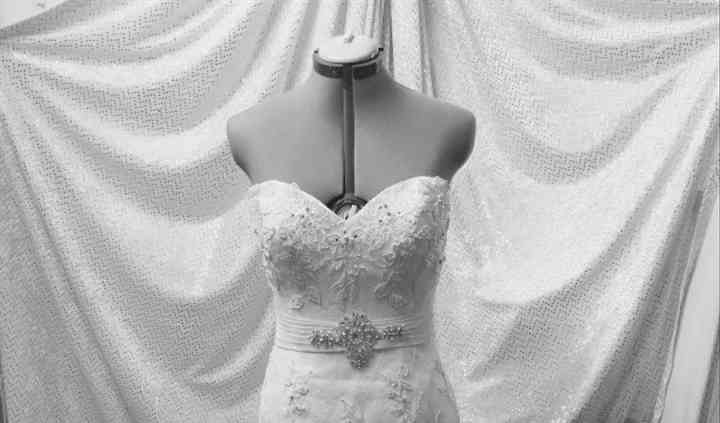 With more than 20 years of experience, Kim has been providing a wide range of alteration services to ensure your bridal gown, bridal party dresses, groom and groomsmen suits will fit perfectly for a stunning look on the big day. Through her home-based business, Kim offers a wide range of tailoring and alteration services for any kind of dress or suit design for the bride, groom or any member of the wedding party. 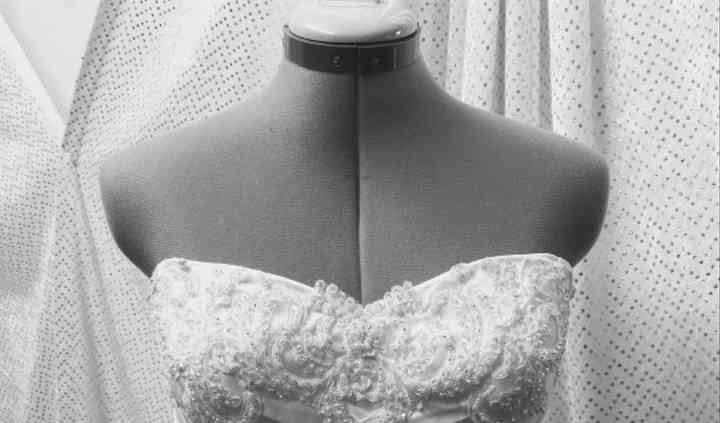 She can alter necklines, add straps, caps and sleeves, resizing, restyling, custom hemming, side seams, pressing and steaming of gowns and more. They do it all and when you leave your garment with 20/20 Alterations you can rest assured your items will be cared for and altered by experienced hands. Call today for a quote. Kim is amazing! She works out of her home basement. -her work and expertise is highly appreciated in such a busy time. -We needed our dresses (bridal and 5 bridesmaids) done in 2 weeks, she was able ... Read more able to get them all done!! -high quality workmanship -not to mention her prices are sooooooooooo affordable!!!! i will go to her for future work needed as well!!!!!! I took my dress to be altered by Kim. She was so professional, sweet, and very knowledgeable. Her price was incredible - and she was on time with her alterations. I am very happy with her quality of ... Read more work. Kim is fantastic! 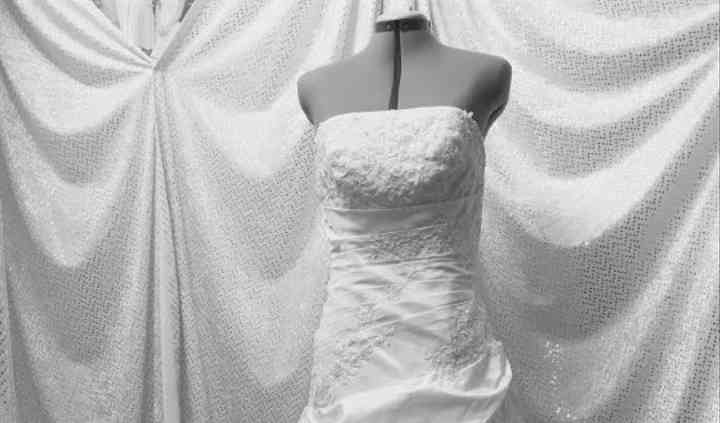 I brought in my wedding dress to put in a corset and sweetheart neckline she knew exactly what I liked and how to make the dress perfect, even with little details, she is a ... Read more perfectionist. My dress turned out beautiful and fit like a glove, she had my dress ready in one week...AMAZING I have now sent my maid of honor in for her alterations and also my wedding veil. I will use Kim for everything needing alterations, you will not find anyone better, friendlier and fairly priced She is a gem!! thank you Kim for all your help. Will be back with our daughters dress I'm sure!! Kim did an amazing overhaul of my dress & in record time. She was thorough in going through what alterations would look best on my body & maximize the dress' look. Kim's pricing was cheaper than what ... Read more you would get at a bridal store & extremely reasonably priced. I couldn't be happier.